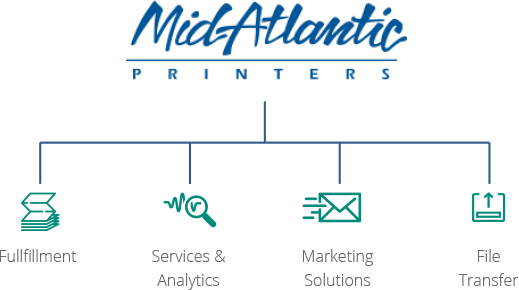 MidAtlantic Printers is a full service commercial sheetfed printer, with two production facilities and multiple sales offices, to give our customers unsurpassed service and quality in the mid atlantic region. Our CMYK color management technology along with Xrite Scanners created a closed loop color management environment that guarantees your job will be G7 certified from proof to production. We offer over 100 years of commercial printing services that range from promotional materials, flyers, saddle stitch, binding and more.